Stephan Jou | Mobile, cloud and analytics. Shiny. I don’t normally like to post about news articles that cite me, but I’m particularly proud of two recent appearances. I was inspired to submit content in response to Simon Crosby’s attack on machine learning on Dark Reading. While I agree with Crosby that there is a lot of snake oil and marketing in this very hot space, I feel strongly that it is dangerous to ignore techniques such as machine learning (and statistics and probabilistic methods and visualization and…), especially since those are exactly the tools that can help build exactly what Crosby is asking for: “tools that enhance their ability to quickly search for and identify components of a new attack”. The second is an interview with me on CIM Magazine. Christopher Pollon did a great job asking the right questions, and the result was a very approachable description of exactly why machine learning and related methods hold so much promise. Machine learning and other related mathematical and statistical methods are not magic, nor are they a silver bullet. But that doesn’t mean we should ignore them. They have do so much good and proven so effective in so many other problem domains and industries, from healthcare to power transmission to computer vision. We have only just started applying them to cybersecurity problems, and we need to keep going and learning together. We launched a number of press releases at my day job, Interset, yesterday. This was a big deal for me: the most personally rewarding parts of being in a startup are innovating technology, creating value, and generating jobs. We’ve done all three at Interset in a very short period of time, and I could not be more proud of the team. Then about three years ago I switched to a Mac, and found myself struggling to keep using Microsoft Money as the only Windows program I couldn’t easily replace with an OS X equivalent. I tried to get it working with Wine and Crossover, but there were too many graphical and stability issues. Finally, I ended up using VMWare and Windows on a Bootcamp partition. Much more heavy weight then I really wanted to, but at least I was able to keep using my favorite financial record keeping program. 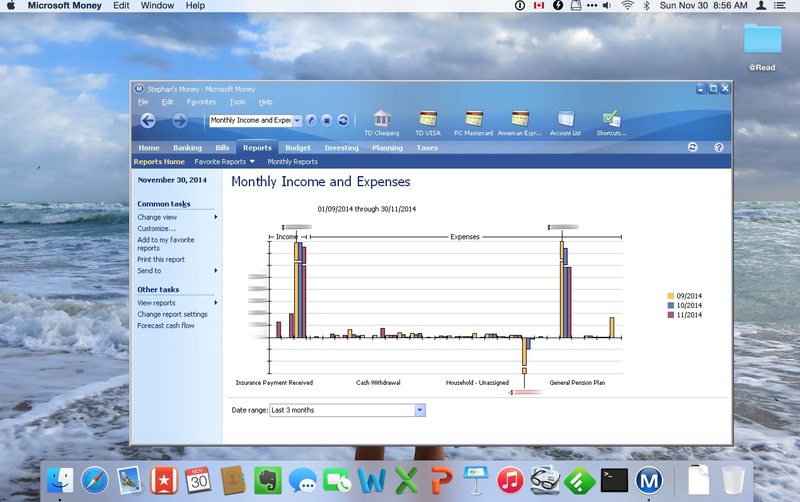 Now, fast forward to 2014, and I found myself again trying to improve how I use Microsoft Money within OS X. This time, I’m on OS X Yosemite and wanted to try using Wineskin: a relatively new project that lets you easily package Windows applications with Wine libraries and make it look like any other application on your Mac. And it is perfect. Stunningly, absolutely perfect. No graphical issues. Reports look great. Printing reports works on my OS X default printer. Even the startup splash screen music and sound effects worked! So, for the record, here are the steps and settings I used. Download Wineskin. Download Microsoft Money Plus Sunset Deluxe. Run Wineskin Winery. Install a Wine Engine — I used WS9Wine1.7.30 — and click “Create New Blank Wrapper”. Name the application “Microsoft Money” and click OK.
Now run your “Microsoft Money” application to launch the Wineskin settings dialog. Click “Set Screen Options”, and turn OFF “Decorate Windows”. Enter “msxml3″ into the “Search for packages” edit box. Expand the “dlls” control, so you see the actual package names. Click the “Run” button on the right-middle of the dialog. If you are instructed to download the msxml file, then you’ll also be told tomove it to the “/Users/Account/.cache/winetricks/msxml3” folder. To get there, from Finder, select Go > Go to Folder, and enter “~/.cache”. Create a folder called “winetricks” if it does not exist; if it does, enter it. Create a folder called “msxml3” if it does not exist; if it does, enter. Copy what you just downloaded to this folder. 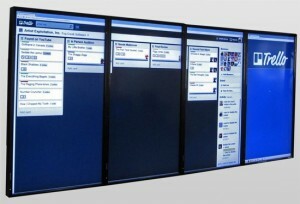 Now follow similar steps with IE6. Note that you may need to download IE6 from http://download.oldapps.com/Internet_Explorer/ie60.exe instead of the specified location, and rename the exe file to msie60.exe before you move to wine tricks\ie6 folder. Thanks to Harry for this workaround! Click on “Test Run” and watch the magic happen! Verify that Microsoft Money appears in all its glory. If there is something wrong, the log files may help. For completeness, I like to change the icon from the Wineskin icon to an appropriate Microsoft Money icon. Now it’ll appear in the Dock and other places correctly. Wow, I had no idea how popular this post would be! There are a lot of troubleshooting tips in the Comments, but here are some highlights. If you need to create a new Money file, then there is a bug in Wine that will force you to sign up for a Passport account, which will then fail. Instead, simply download a blank Money file which I have created here, and then open that in Money. Download this file, rename it whatever you’d like, and open it from Money. Once opened, you should be able to add new accounts, set a password if desired, etc. Make sure you install IE6 using winetricks, instead of any later version of IE. Right click on your Microsoft Money application, and select “Show Package Contents”. Double-click on the Wineskin application icon. I have not yet been able to get Portfolio Manager to work. As far as I can tell, this is a bug in Wine and the way it interacts with the HTML rendering engine, so we’ll have to keep trying new Engines until this is resolved. Step 7 was tricky for some folks because of how confusing the UI is, so I’ve added some more details here. Added an alternative location for the IE6 download. Thanks to Harry for finding it! Added another alternative location for the IE6 download. Thank you, David Silver! I’m incredibly proud to have contributed to another book! 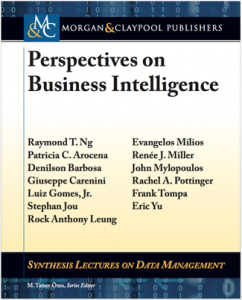 This time it’s a collection of research articles of importance to future directions in Business Intelligence, directly from some amazing university researchers. The book covers a broad range of research topics, from BI modelling, to information extraction, to information visualization. The book resulted from my amazing five years involved with the NSERC Business Intelligence Network, and I’m humbled to be on the cover and even be mentioned with these outstanding Canadian researchers. They are all world-class folks.